John Timberlake (born 1967) is a London-based artist and writer whose work frequently explores realities that never came to pass. Blurring the boundaries between literature, painting and photography, this slim retro-styled volume ponders a glittering possible future for mankind that, fifty years ago, seemed to be there for the taking. Proposed by the US physicist Dr. Robert W. Bussard in 1960, the Bussard Ramjet (BR-J) was an ambitious proposal for an interstellar drive that would have required leaps technology and, Timberlake argues, radical changes in global economics and the possible remodelling of humanity itself. His images, some apocalyptic, others featuring futuristic water conduits superimposed onto bleak, contemporary settings, are interposed between dream-like narratives referencing alternate pasts and possible futures. There are constant references to Poul Anderson’s 1970 science-fiction novel Tau Zero, which describes an optimistic future in which the BR-J has made interstellar travel a reality; The contrast with the bleakness of Timberlake’s narratives could not be greater and suggests that Bussard’s bold vision will remain forever a dream. The jet-set image of the contemporary art scene has now become so powerful that there is a real need to look beyond it and realise that art is not just about money and glamour. Art is a fundamental part of the human condition. The capacity for art arises from what anthropologists refer to as symbolic thought: the representation of the real world through symbols such as words, drawings and objects. Just how and when these and other modern behavioural attributes arose is still hotly debated, but the oldest work of art so far discovered is a haematite stone decorated with abstract designs, found in the Blombos Cave near Capetown and believed to be 75,000 years old. Though not the oldest prehistoric art, that of Upper Palaeolithic Europe is undoubtedly the best known. The earliest-known cave paintings, those at Chauvet Cave in southern France, are 32,000 years old. From that time up until the end of the last Ice Age roughly 11,000 years ago, Cro-Magnon cave artists consistently achieved a standard best summed up by Picasso who, on visiting the Lascaux Caves in the Dordogne, is said to have remarked “We have invented nothing”. Not without good reason have these caves, now thought to have been painted 18-19,000 years ago, been described as “The Sistine Chapel of prehistory”. Born in the French Pyrenees in 1933, Dr. Jean Clottes is one of France’s most eminent prehistorians. Although now formally retired he remains active in the field. In the 1990s he played a leading role in the study of the newly-discovered Chauvet Cave and also the 27,000 year old Cosquer cave near Marseille. Clottes is however best known for his controversial but highly-plausible theory that prehistoric cave art was associated with shamanic practices, whereby shamans can move between the living and spirit worlds with the aid of spirit helpers and act as mediators between the living and spirit worlds, obtaining supernatural assistance in such matters as healing, hunting and weather. According to Clottes Cro-Magnon people regarded caves as access points to the spirit world. While the cave art would have reflected mythologies that would almost certainly have shown regional and temporal variation, Clottes’ view is that the overall belief system persisted with little change for over twenty millennia, ending only when the Ice Age finally drew to a close. CAVE ART is an accessible and well-organised introduction to prehistoric art, featuring over 300 items. Clottes describes his book as “a kind of museum, a collection of prehistoric imagery” and admits that in common with all museums, it cannot exhibit everything. Accordingly the focus is on the cave art of Ice Age Europe, with less emphasis on figurines, engraved bones and other portable works of art. Some will feel that these, and post-Ice Age cave art from other parts of the world, might have been better covered, but Clottes admits that his “museum” is personal. In keeping with the book’s concept, explanatory texts take second place to the “exhibits” themselves. They are styled after the texts one might find in an actual museum, with each work accompanied by a caption header providing key facts followed by a brief but generally very informative text, often including Clottes’ personal views and interpretations. 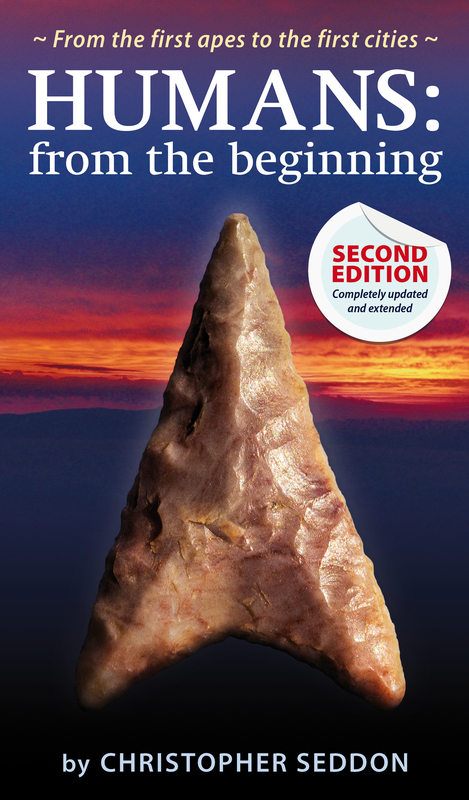 This book will be welcomed by anybody with an interest in either art or prehistory, or indeed anybody who wants to know more about the people of Ice Age Europe, whose society endured five times longer than the whole of our recorded history.